Ferns are a great garden or container plants. Depending on the variety, they may thrive in shade, low light, or bright indirect light. Whatever your indoor or outdoor conditions, there’s probably a fern that’s right for you. And as long as you keep it well watered, your in-ground or potted fern should reward you with dramatic, sweeping foliage. As with most plants though, especially those that are potted, ferns will outgrow their location if given enough time. 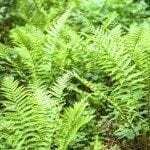 Keep reading to learn more about separating ferns and how to divide fern plants. As a general rule, ferns need to be repotted or divided every 3 to 5 years. If your plant is starting to die out in the middle and produce smaller leaves, chances are it’s outgrown its container or garden space. It’s possible to simply move it to a bigger container, but most gardeners choose dividing fern plants instead. 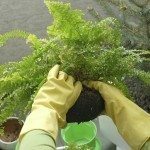 Separating ferns is easy and almost always successful because unlike a lot of perennials, ferns and their roots can take some serious manhandling. The best time to divide ferns is in the spring. 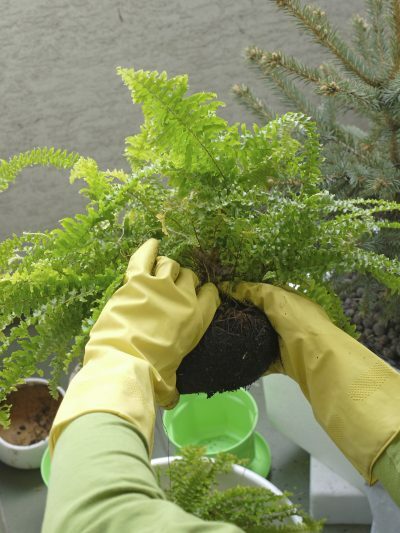 When separating ferns, you first need to remove it from its old pot or dig up the clump. Once it’s out, brush off and shake loose as much soil as you can. It may not be much, as ferns tend to have very tight, interlocking root balls. Next, use a long serrated knife to cut the root ball either into halves or quarters. Make sure there are leaves attached to each section, and try to keep the number of leaves balanced. 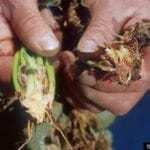 Fern roots are tough and it may take some work to cut through them, but the plant can handle it. After your fern is separated, move each section to a new pot or garden space and fill it in with well-draining but somewhat water retentive soil, preferably with some grit and lots of organic matter. Water each section well and continue watering more than usual while the plants get established.